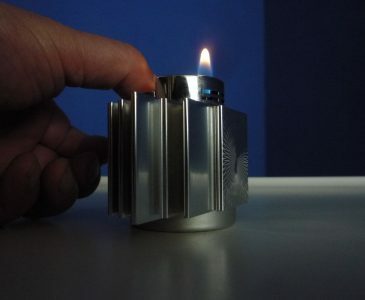 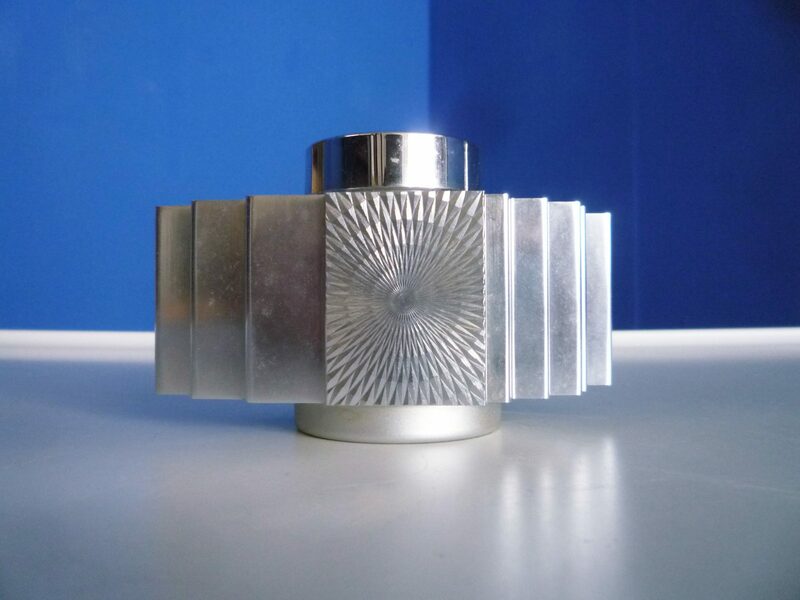 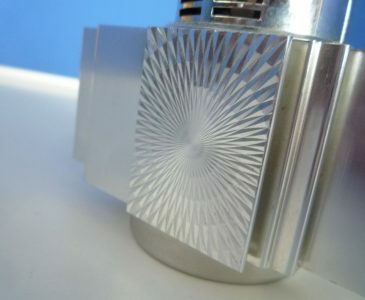 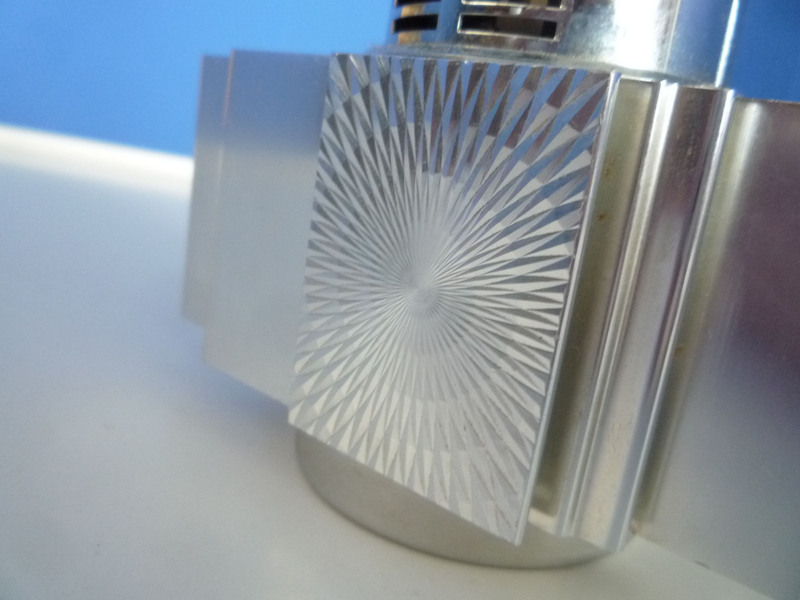 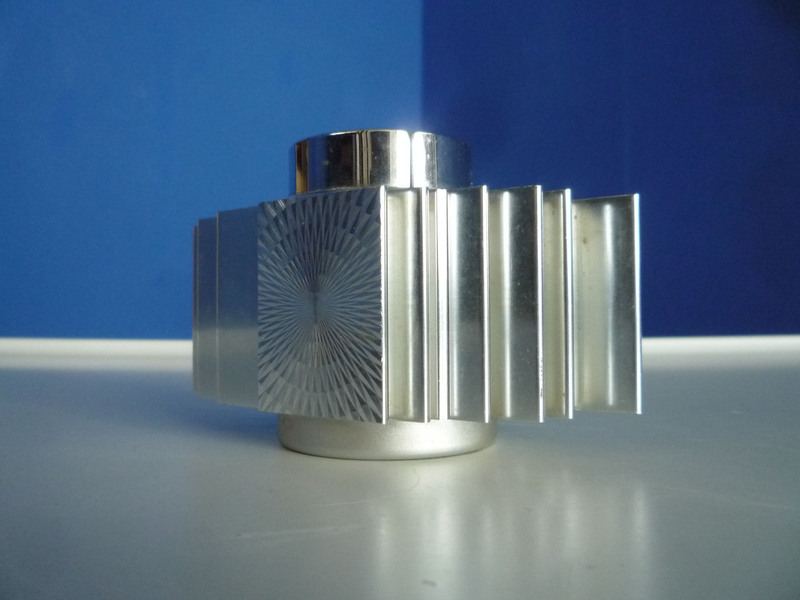 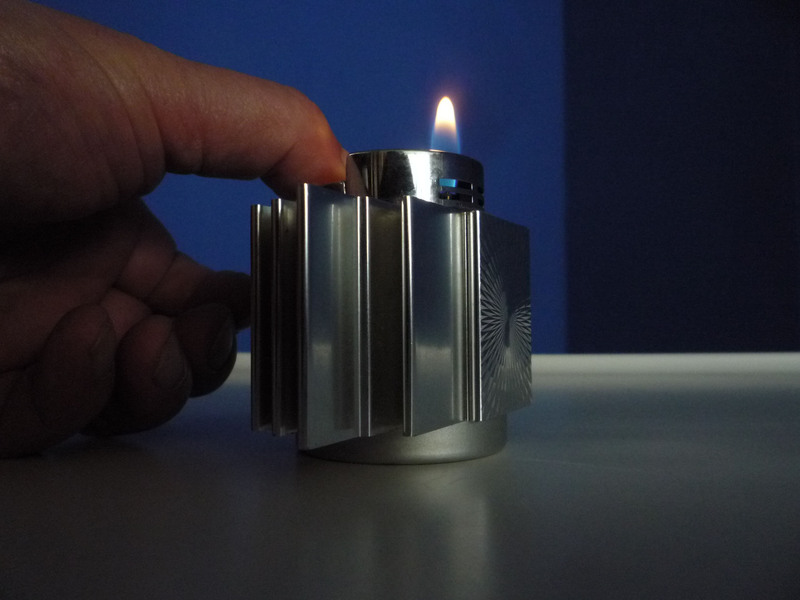 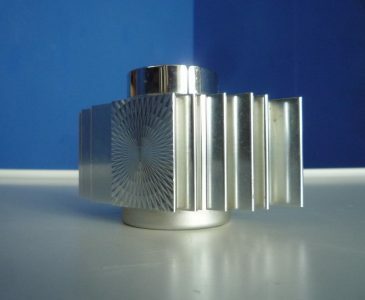 Brutalist Table Lighter from Japan. 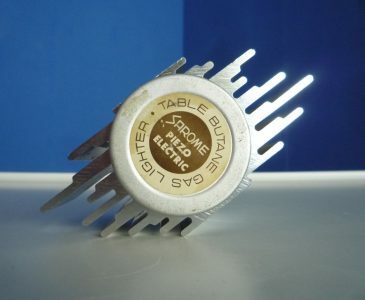 Bizarre design from the sixties. 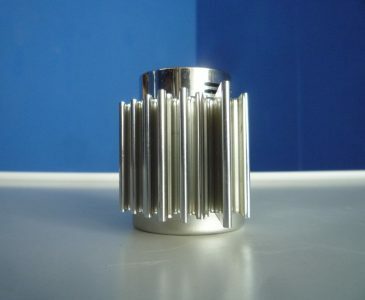 Housing Aluminum. 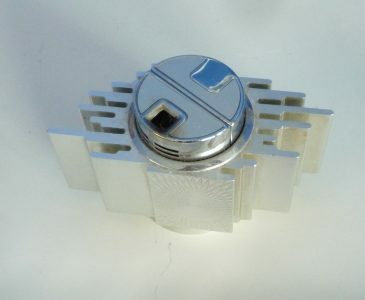 The employment in the center is withdrawable for filling, the Piezo ignition is maintenance-free. Ground inscription: SAROME PIEZO ELECTRIC TABLE BUTANE GAS LIGHTER. 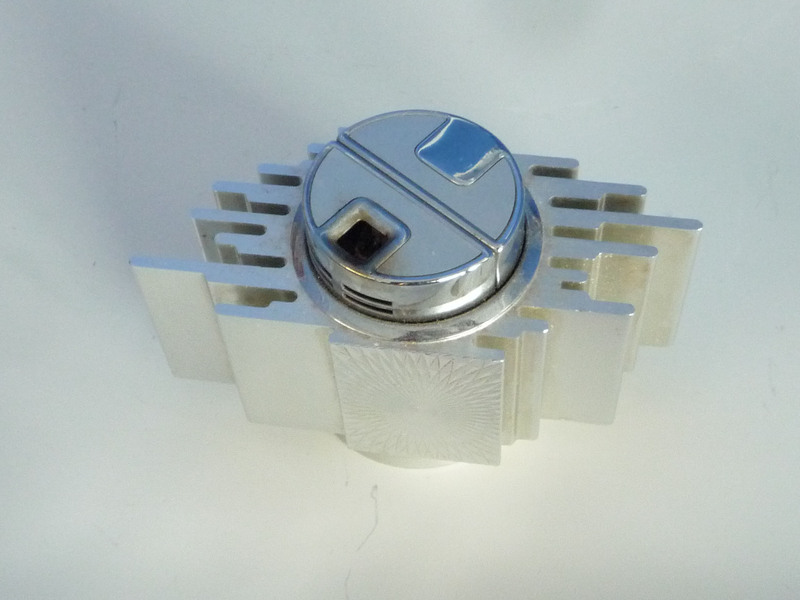 Very good original condition and functional.